WorkBuzz, has announced the winners of The Best Franchise Awards 2018, sponsored by Lloyds Bank, which were presented at the annual Best Franchise Conference held at the Marriott Hotel, Leicester. The Best Franchise Awards are unique explains WorkBuzz (the specialist franchise research company) as they are based on feedback from thousands of actual franchisees who have completed a Franchise Satisfaction Benchmark survey. The survey asks franchisees to rate their franchisor on everything from training and support to shared goals and how the experience of being a franchisee compares with their expectations. The benchmark acts as a powerful marketing tool for winners, highlighting recommendations from existing franchisees and providing testimonials from individuals living and working within the brand on a daily basis. 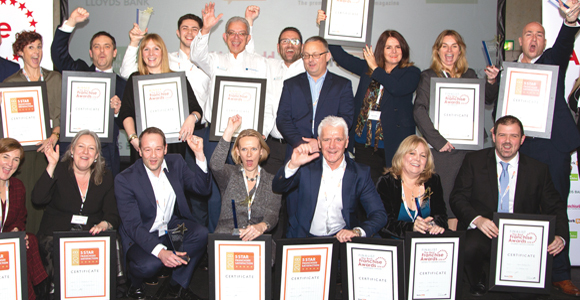 The Best Franchise Conference brought together over 130 of the UK’s top franchisors and service providers, who gathered to network and share their experiences says WorkBuzz. Speakers at the conference included James Sinclair, chief executive of Partyman Group and co-founder of Entrepreneurs Network; Trevor Brocklebank, chairman of the BFA; David Batch, chief executive of Premier Education Group and Craig Brown, Chris Cook, Dave Galvin and Vicki Mitman of TeamDT. Steven Frost, chief executive of WorkBuzz, said: “We would like to heartily congratulate all the finalists and the winners of the 2018 Best Franchise Awards. It’s been a big year and the quality of entrants has been consistently impressive and, adding to that, we’ve seen an ever-wider field of competition, with a dozen first-time entrants. Suki Dehal, franchise development manager of Lloyds Banking Group, said: “Lloyds Bank are delighted to support WorkBuzz with the Best Franchise Conference and Awards again this year. As a member of the judging panel, I have seen first-hand the passion of franchisors, with fine margins finally separating the winners. “To see how the event has grown in stature over the years is testament to the work done by the team at WorkBuzz to provide in-depth feedback, which has been invaluable to the growth of franchise brands.